At the end of SuperPlay, the Atem didn’t switch back to the live input! in SuperPlay the „return to input“ and „remember this“ to the correct Atem input? Can I connect the HyperDeck to the HyperSlow app and the Atem Desktop software at the same time? 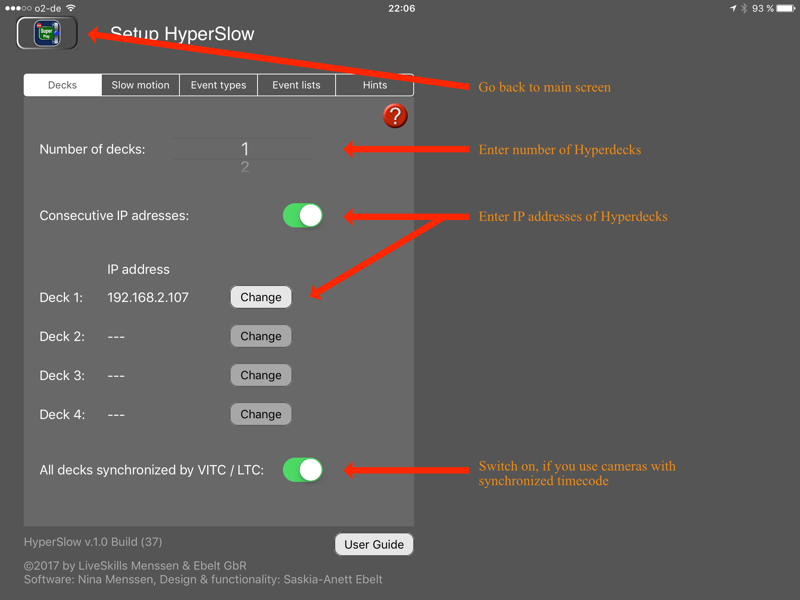 Switch off the hyperdeck functionality in the Atem software, this is most important, because a hyperdeck can not get comands from 2 controllers. Can I run some of my cameras in 25p and some in 50p for the HyperSlow app? Can i run the iPad via Wifi to afford an instant replay system? Does the Hyperdeck mini still record while playing clips back? 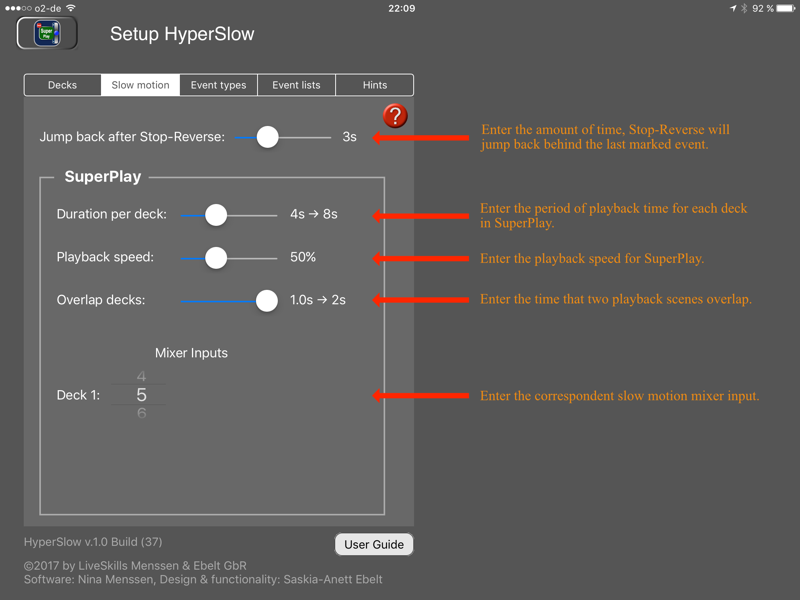 The HyperDeck can not record and play at the same time. If you need a countinous recording of your camerasignal, or your PGM-signal, you need a second device for recording.